Do you go out of your way to find the best quality dog food for your furry family? With Ivi’s allergies, we go out of our way to find dog food that is nutritious and, of course, is a limited ingredient diet. One of the things we learned very early is that turkey is in so many foods out there, with many companies hiding it as a filler in the form of turkey meal or poultry meal. That is one of the main reasons we have always loved Natural Balance®’s Limited Ingredient Diet® since it not only contains all natural ingredients, but always has a specific meat as the number one ingredient and doesn’t hide its ingredients. 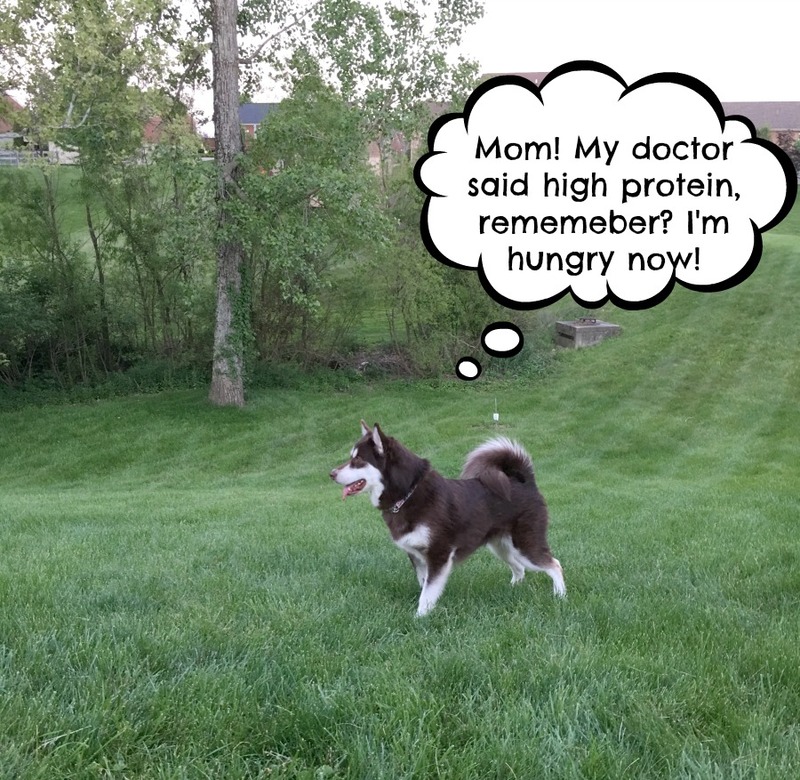 When you get their food, it is always from a single protein with ingredients that will drive your dog wild. Of course, nothing made us jump for joy more than we heard that they were coming out with a new food – the Natural Balance High Protein Limited Ingredient Diet Formula. So, what is so special about this new Natural Balance food? Well, we are so glad you asked since we honestly can’t WAIT to have our girls try it! 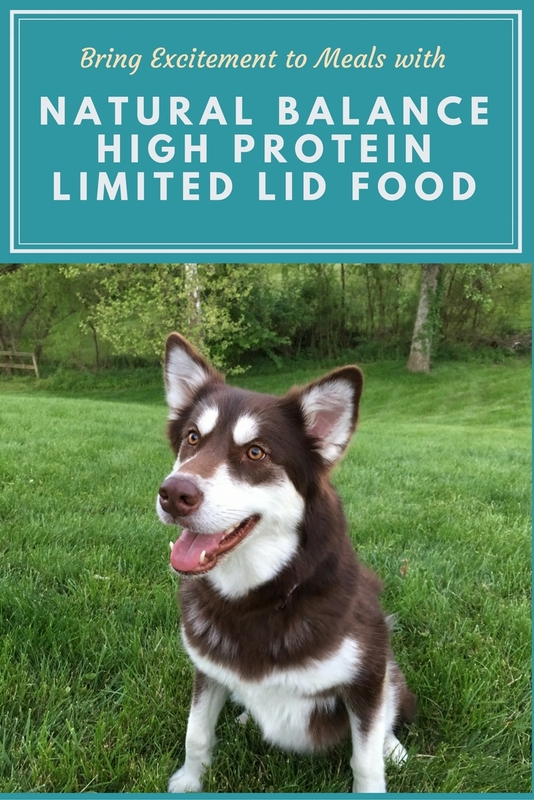 This new High Protein Limited Ingredient Diet Formula delivers essential nutrients for supporting healthy muscles, skin and coat, and, with more protein, supports healthy energy levels to keep your pup perky and active. Since it is a true LID formula, it also helps pet parents with dogs like ours avoid ingredients that are associated with food sensitivities. Real meat as the #1 ingredient. Currently, this high protein limited ingredient dog food is available in three flavors – lamb, beef, and turkey. With Ivi and Rylie’s tastes, we honestly can’t wait to have our girls try the Natural Balance High Protein Limited Ingredient Diet Beef Formula (and probably bounce to the lamb formula when they tell us they want something new). 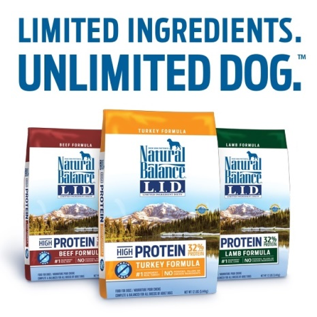 Of course, the new Natural Balance High Protein Limited Ingredient Diet Formula also comes with the same guarantees that pet parents who trust Natural Balance have enjoyed for decades. Since 1989, their philosophy has been to provide pet parents and pets the perfect Food For a Lifetime®. Each of their foods are based on sound scientific principles and nutritional truths, including using only premium quality ingredients and having one of the best safety testing procedures in the industry. In fact, every batch of Natural Balance pet foods through nine safety tests. Would you like to try Natural Balance High Protein Limited Ingredient Diet Formula for yourself? With their Natural Balance Buy With Confidence Promise® it really is risk-free for dog parents and we are certain your dog(s) will love it just as much as ours. Also, don’t forget that you can always talk to a nutritional expert on their site to see which food is best for your own dog or cat. So, which formula would you like to try first? We are going to get you the full scoop on the new Natural Balance High Protein Limited Ingredient Diet Formula at BlogPaws 2017 in Myrtle Beach. 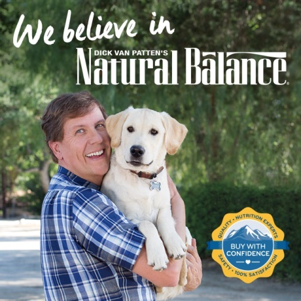 If you happen to be coming to the BlogPaws conference, make sure to come over and say hi to Ivi and me at the Natural Balance booth on Thursday! Also, if you have questions, tell us what you might like to know about their food in the comments below! Want to learn more about Natural Balance? Follow them on social media! Limited Ingredient Diet is how all processed foods should be made! I’m glad you found a dog food that suits Ivi’s allergies. Sometimes we have a tendency (sadly) to forget that our fur babies can have digestive and other medical issues too. This is wonderful – meat is the #1 ingredient, no “beaks and claws”. And no artificial ingedients. Love it! This sounds like a really nice, high quality food for dogs. I’ve been looking for something better to feed our two pups. Will have to check this out! This sounds like such quality dog food! I try to feed our pup with only real ingredients that the vet recommends. This brand totally fits the bill. And I know she’ll love the flavors! Definately a good find for dogs with food allergies. You cant go wrong with high protein. I’ve never heard of this brand before, but I really like what I have read about it. I think limited ingredient is a really good concept for sure. And I love that meat is the primary ingredient. Thanks. I have a bichon that has numerous allergies (apparently common to small white dogs). We have always been careful about her diet. But I had no idea that “turkey is in so many foods out there, with many companies hiding it as a filler in the form of turkey meal or poultry.” Wow. Unfortunately, where I live we aren’t allowed pets. I really wish we could because I want a kitty so badly! I like that Natural Balance is grain free and there aren’t any artificial flavors, colors, or preservatives. It’s hard to find a dog food where meat is the #1ingredient. always important to find a natural and healthy food for your pup. my active pup can really benefit from the high protein. I have not heard of this brand before. I love that this food has a lot of protein in it! I no longer have a dog, she passed couple of years ago. But my niece has a sweet little dog that I am going to pass this info to her. I think my dog would like the chicken and sweet potato. She is tiny though and needs food that is small enough for her to eat. I wish I knew about this years ago for my Jass. He suffered his whole life with terrible skin allergies. What a beautiful dog! We have a miniature dachshund and a german shepherd who would love this. Fur babies nutrition is just as important as ours. Its nice to find a healthy food with ingredients you can identify. i think this would be perfect for my oldest dog.She has allergies and maybe this food would help her more than her current food. this brand before but I will be looking for it. This sounds like really good quality dog food. I like that it has a short ingredient list of known products and is natural. I will have to check into the cat food for my cats as one has really bad allergies and I have yet to find a food that works well for him. I also feed my hedgehog high quality cat food! I like that the food is grain free and high in protein. I’ve been looking for a grain free product for my one year old pup. We will give this a try. I’ve tried some grain free foodstuff my picky eaters have had trouble with them. I’m searching for something new. I’ve heard dogs really love this food so it’s next on my list. Quality food for the man’s best friend. Thanks for this! It is hard to find a natural food. Our dog is a member of our family. It’s great to see a quality food that’s tailored for different dogs. I’ve been trying to find better quality for my cats in the last few years with some successes and not so much sucesses. I haven’t tried this brand yet however so it’s worth a try! I have a dog myself that I care for dearly, like how I hope most other dog owners do. I think I’ll give this a try with my dog and see how he likes it. It’s as good for pets as it is for people. Only buy foods that you know what is in them. Sounds like an awesome option. I now know what LID means too. Lucky our dogs don’t have allergies. This line of pet food sounds wonderfu for both of my dogs….allergies or not. I have a friend who’s dog is allergic to some food types, I should pass this page to him to see if it would be good for his bully. Do they makes cat food? It’s been all the news lately to feed your dogs and cats high protein diets and I think it is a great idea.